Out of the 67 coups in 26 African countries in the last 50 years, 61 percent took place in former French colonies. Fifty percent of the monetary reserves of 14 African countries are still today under full French control: none of them has any control over its macroeconomic and monetary policy. France makes billions of euros from Africa annually under the form of “reserves”, and lend part of the same money to its owners on market rates. The Central Bank of each of these African countries is in fact compelled to maintain at least 50 percent (it was 65 percent until 2005) of its foreign exchange reserves in an “operations account” controlled by the French Treasury. Moreover, each Central Bank is required to maintain a foreign exchange cover of at least of 20 percent of its liabilities. It should also be mentioned that still today - despite the efforts made by ECOWAS to create a new common currency (ECO) for West African states - the CFA Francs, which are in reality two different currencies both guaranteed by the French Treasury, are the official currencies in 14 West and Central African countries. 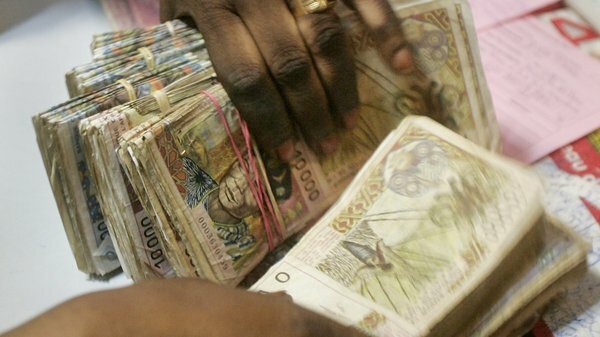 CFA Francs, contrary to the dollar or euro, cannot be converted into any other currency. This means that all these countries are excluded from the international foreign exchange market (FOREX), the largest and most liquid market for options of any kind in the world. It could be claimed that the countries that operate with these currencies might freely leave the arrangement at any time. In truth, dozens of African leaders, from Silvanus Olympio in Togo to Muammar Gaddafi in Libya, have tried in recent decades to replace these tools of monetary and financial control with a new common African currency. Almost all of them - with the possible exception of Malian President Modibo Keïta (1915-77) - have been killed or overthrown the very moment in which their attempts were close to succeeding. Indeed, complaining about “migrants” - not dissimilarly from focusing on NGOs, or on the “financial” cost of the “migration crisis” for European countries - is a self-assuring shortcut that speaks at the gut of millions of disillusioned European citizens. Challenging and tackling the structural interests of (mainly) European businessmen, companies and governments - like Africans are doing through initiatives like the “West Africa leaks” - would be much riskier: this is why it won’t easily happen. Pas fan du ton mais j’ai appris des trucs que je ne savais pas sur la #Françafrique.